Michelle Glady, a spokesperson for the Florida Department of Corrections, spoke to the press before Mark Asay's execution Thursday. His death also lays to rest any question of whether the state’s new and untested lethal injection protocol would work. Asay was the first person in the United States to be executed using a drug called Etomidate. The state started stockpiling it when the old drug it had expired. 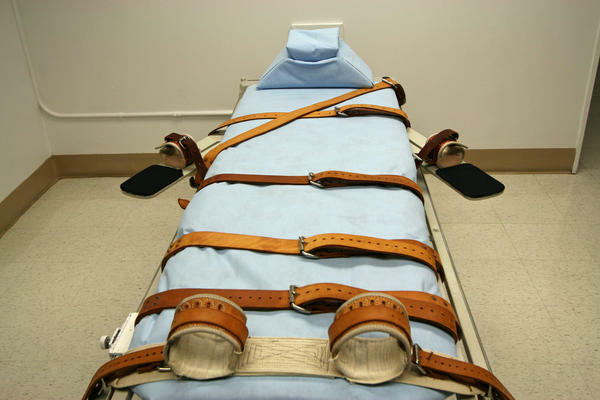 Given that it was untested, many were concerned about whether it was appropriate to use for a lethal injection. In the 11 minutes it took for Asay to be declared dead, it did not appear as if there was any issue with the new protocol. Asay, 53, was convicted of the 1987 murders of Robert Booker and Robert McDowell on the same night in Jacksonville. Prosecutors alleged the shooting death of Booker was racially motivated, and that Asay used a racial epithet to justify the killing. On Thursday, he had no final words. Etomidate replaces midazolam as the anaesthetic, which was the first drug used to knock Asay out. The second drug was rocuronium bromide, which was intended to paralyze Asay. The final drug, potassium acetate, causes cardiac arrest. Midazolam became difficult for the state to obtain, as many lethal injection drugs have become over the past few years since major drug companies have issued directives that their drugs are not to be used for killing people. Records show that Florida had to find a new drug after its supply of Midazolam expired and it couldn’t get refills. At a pre-execution press conference, a spokesperson for the Florida Department of Corrections, Michelle Glady, said Asay woke up at 4:30 am, which, according to Glady is a little earlier than usual for him. “He is calm and in good spirits,” said Glady. He had his last meal Thursday morning including fried pork chops, fried ham, French fries, vanilla swirl ice cream, and a can of Coke. He finished his fries, Coke and ice cream, most of his ham, and a quarter of his pork. He visited with his sister, sister-in-law and brother-in-law for about two hours. He also met with his spiritual advisor in the afternoon. 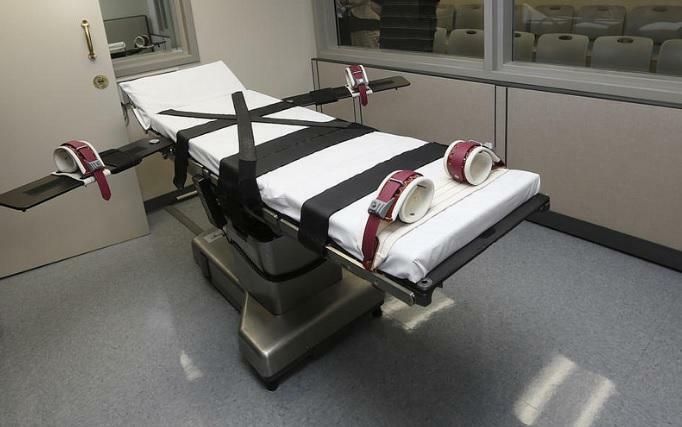 Glady would not elaborate on the lethal injection protocol that the state will use for the first time, which will also be the first time the drug Etomidate will be used in a lethal injection in the United States. She pointed reporters to the official protocol published by the Florida Department of Corrections which outlines the step by step process of the lethal injection process, but not the method by which it was determined this drug was an appropriate substitute for the previous drug or what kind of testing the department to ensure the lethal injection process is not cruel and unusual for Asay. "The department's most solemn duty is the lethal injection procedure," said Glady. "Our foremost objective is a humane and dignified process." It's not unusual for lawyers representing Death Row prisoners whose execution dates have been set to file last-minute appeals to try to get more time to argue about why their clients should be spared.